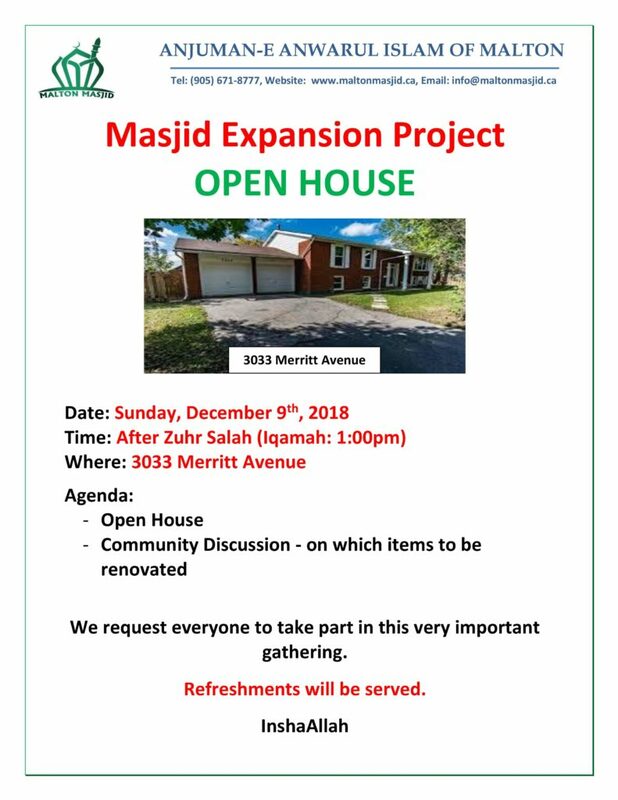 As-salamu Alaikum,, In order to accommodate everyone schedule, a weekly community meeting to discuss updates on fundraising for the new property has been changed to every Sunday after Khatmul Yaseen program which takes place after Zuhr salah (Iqamah – 1…..
As-salamu Alaikum, Quran and Nasheed Program – Recording Alhamdulillah, with His mercy and everyone’s dua, Quran and Nasheed program was successful and very well attended. 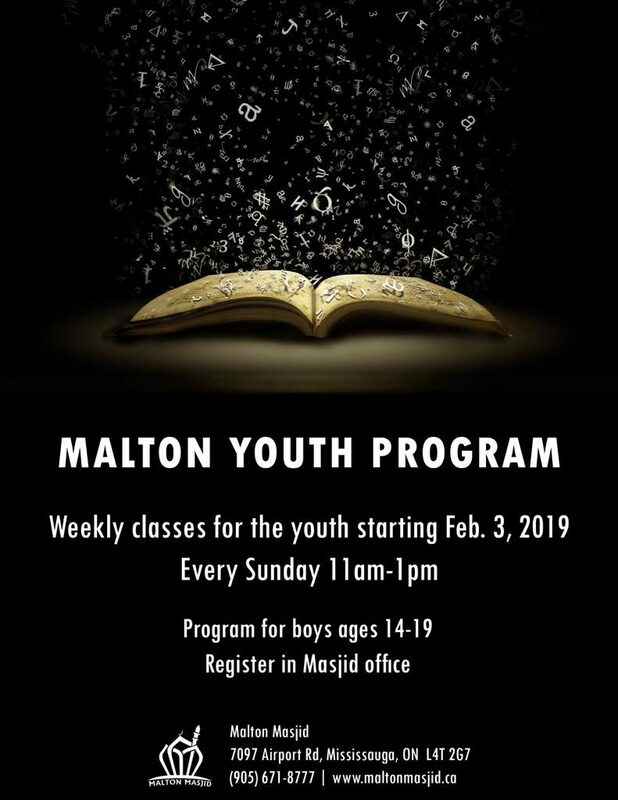 We are grateful to all the participants for attending this program, to Qurras for accepting…..
Alhamdulillah, Malton Masjid has purchased the property at $800,000. 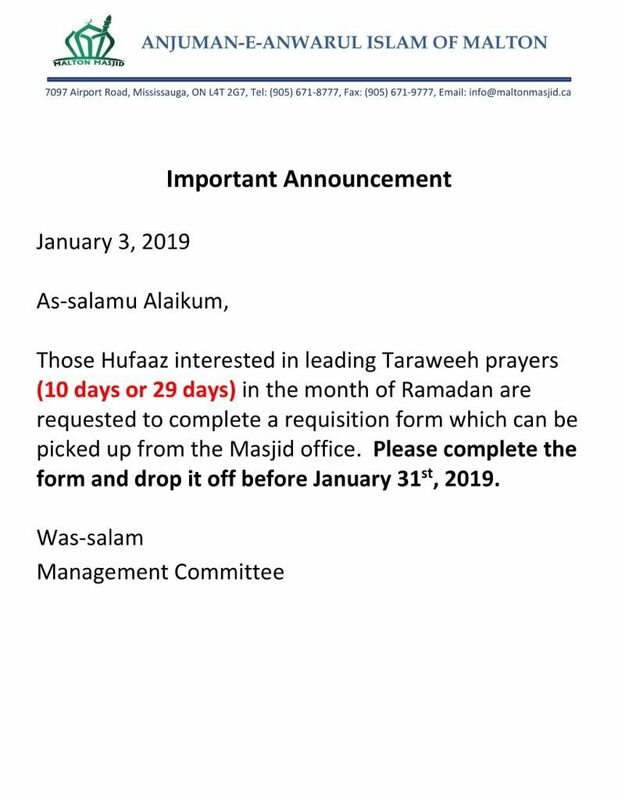 Jazakumullah for your encouragement, support and dua during this process. 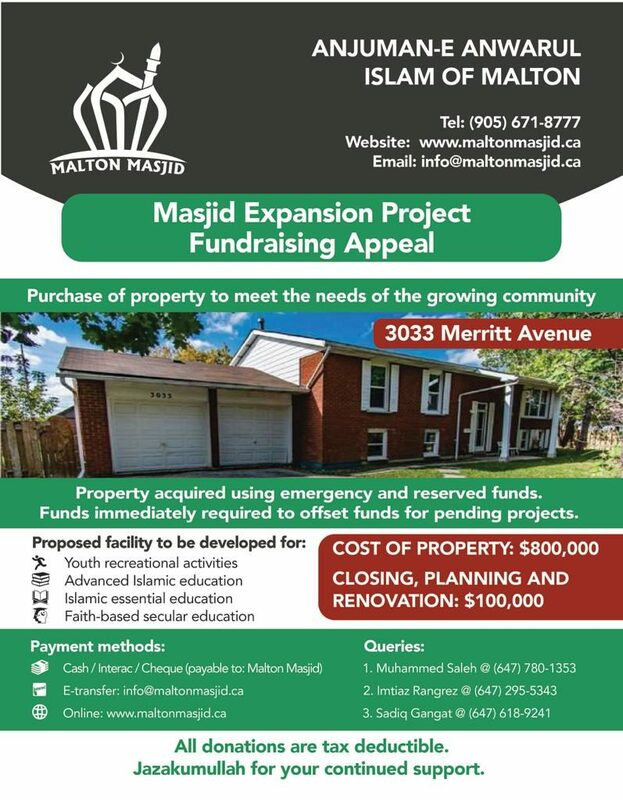 Information Meeting is being scheduled to provide details on this purchase agreement, proposed property usage and financial support. 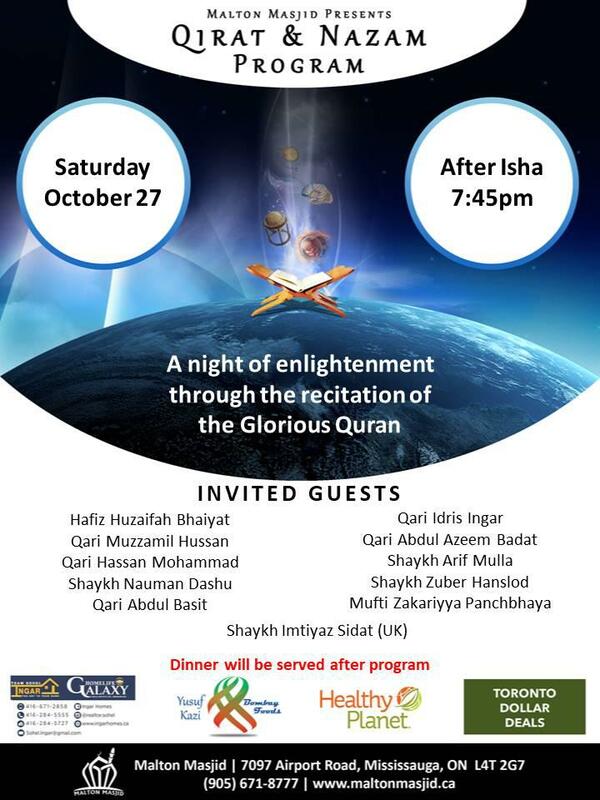 Date: Sunday, November…..
As-salamu Alaikum, We encourage everyone to come with their children, friends and families. 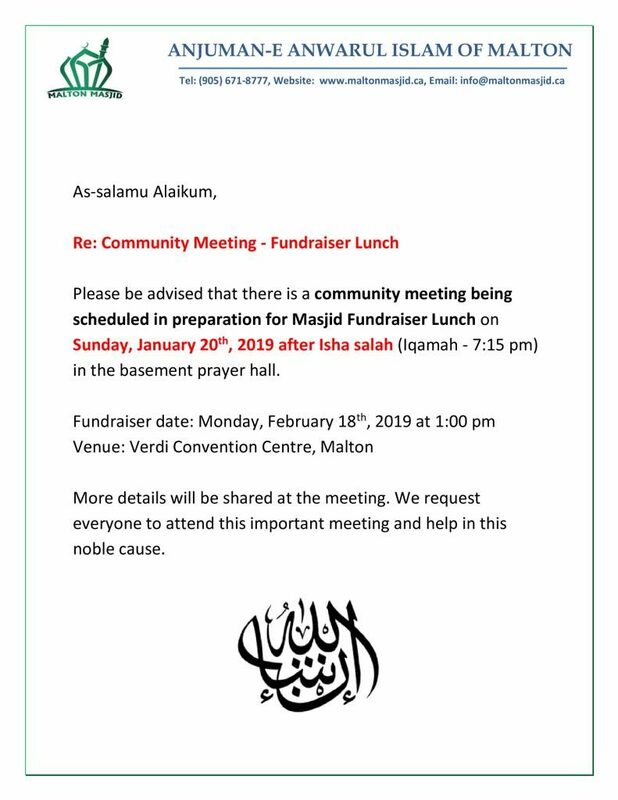 Dinner will be provided, InshaAllah. 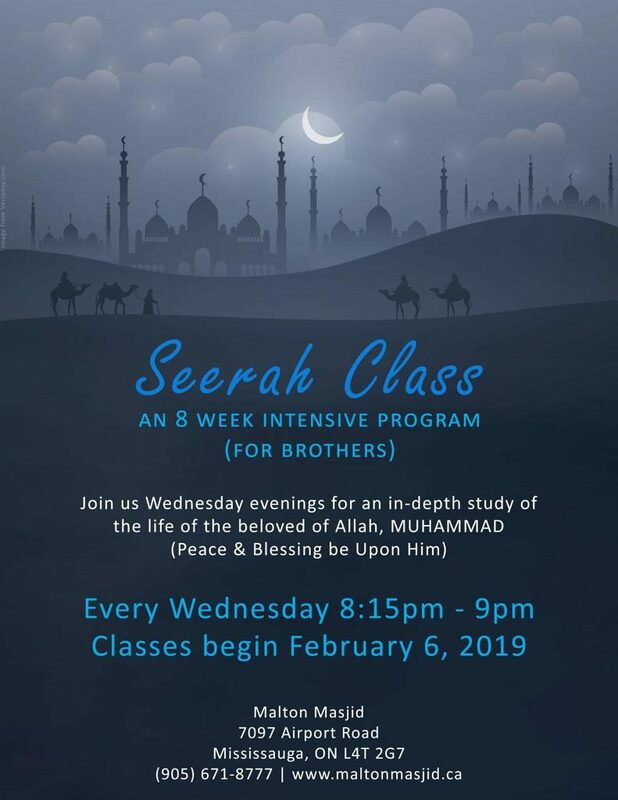 Do not miss this great opportunity to hear the Glorious Quran and Nasheed in melodious tones from various amazing Qurras close to…..